Do you know someone who loves Roses? If so let us deliver them a bouquet of our very best, pick of the day. 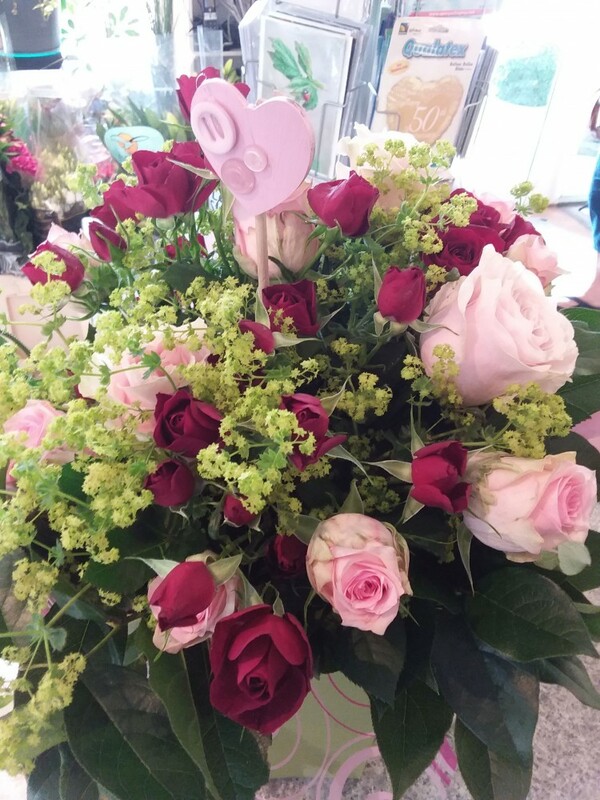 We always have Roses in stock but not always in the same varieties or colours - some days we have the palest pink "Titanic" ivory "Avalanche" and "Red Naomi". On other days we may have fabulous orange "Naranga", yellow "Goldstrike" or lilac "Amnesia". Whichever colours and varieties we have in, one thing we can say is they will be top quality and the perfect gift for Rose lovers. If you wish we can add dainty white Gypsophila as well as premium quality foliages such as hard Ruscus, Pittosporum, Asparagus fern and beargrass. We can hand tie them into a bouquet or make them into a classical arrangement ready for delivery with your message of course. If you want a specific colour we'll get as close as we can or order it in for you if you give us a few days notice.